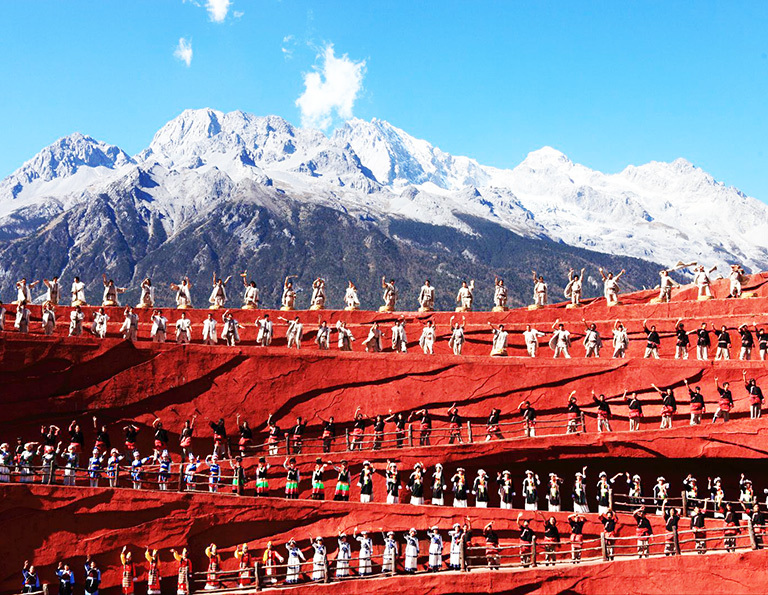 Lijiang, capital of Naxi Kingdom, at 2,500 meters, is located in the northwest of Yunnan province. Listed as a UNESCO Heritage Site, the beautifully preserved Lijiang Old Town (composed of Dayan Old Town, Shuhe Old Town and Baisha Old Town) is incredibly rich in natural and cultural resources. Strolling along the 800-year-old bridges and waterways of the world-famous old town district is like stepping back in time. 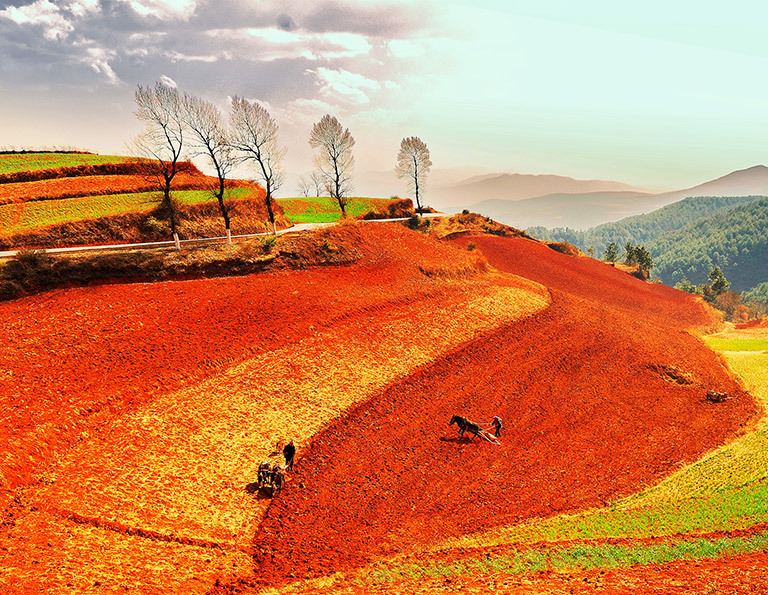 Other special highlights include the views atop Jade Dragon Snow Mountain, Tiger Leaping Gorge with hiking experience, Naxi Dongba culture exploration, Lashi Lake horse riding along Ancient Tea Horse Route, and Lugu Lake - Kingdom of Women to explore Mosuo matriarchal society...Some say that Lijiang is not unique just because it is unique in too many ways - how true this is. 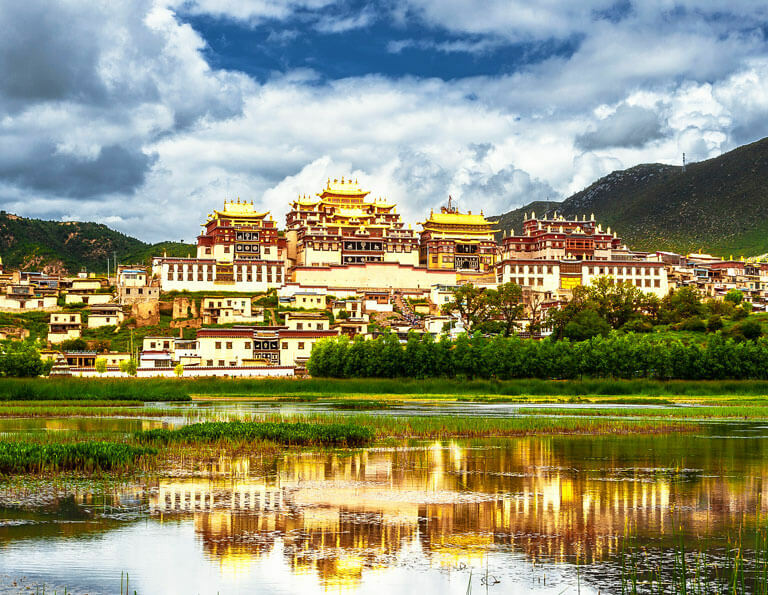 Combined a trip with Shangri-La, Dali, Kunming in Yunnan Province before or after visiting Kunming can be a good way to appreciate more in the dreamland. 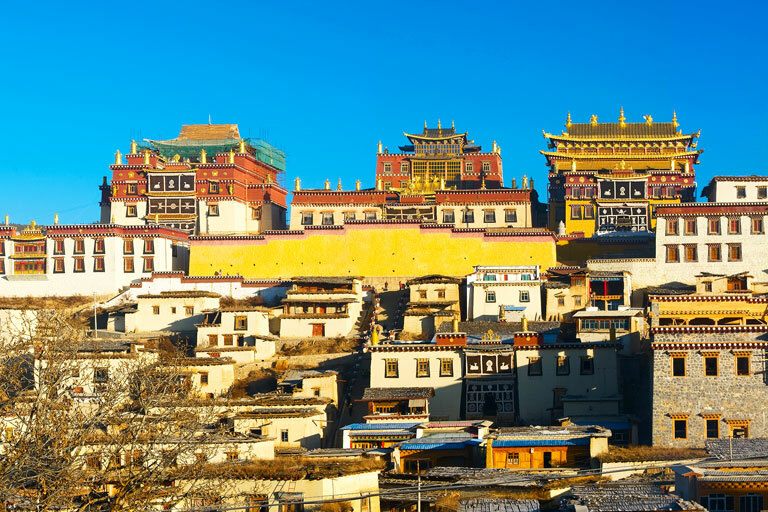 Also, it is convenient to cover with Tibet, Guizhou, Sichuan and Guilin with flights. All tours are private and flexible, and will be customized to satisfy your diversified needs. 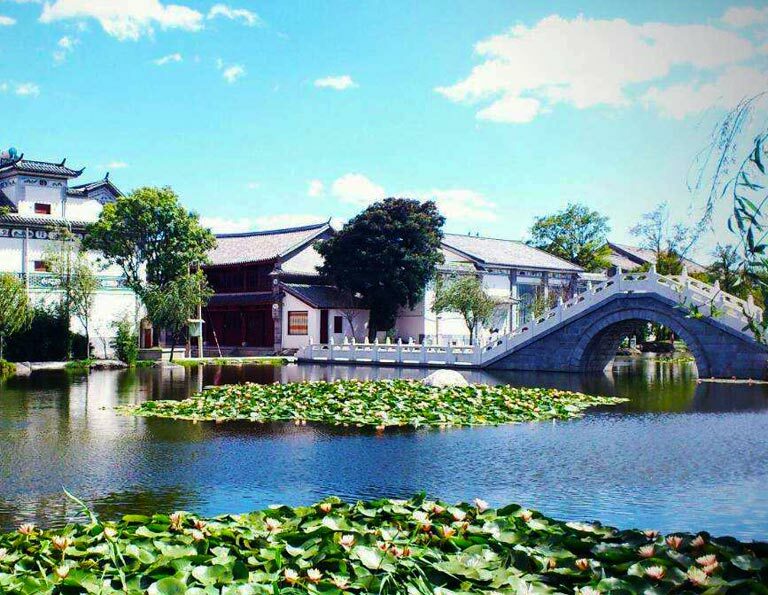 Lijiang Baisha Mural Temporarily Closed Notice: To improve the facilities of the exhibition halls and other service inside, Baisha Mural is temporarily closed during April 1 ~ April 30, 2019. 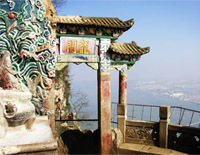 During the period, you are recommended to visit Lion Hill and the Wanggu Tower instead. 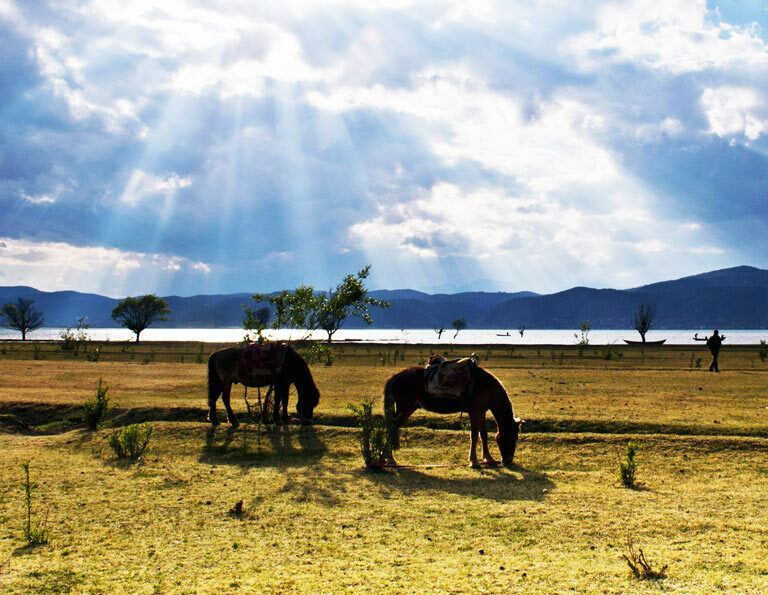 Lijiang is more than an old town listed as the UNESCO World Heritage Site, and it is the kingdom of Naxi people and its Naxi culture flowing through every corner on the fairyland. 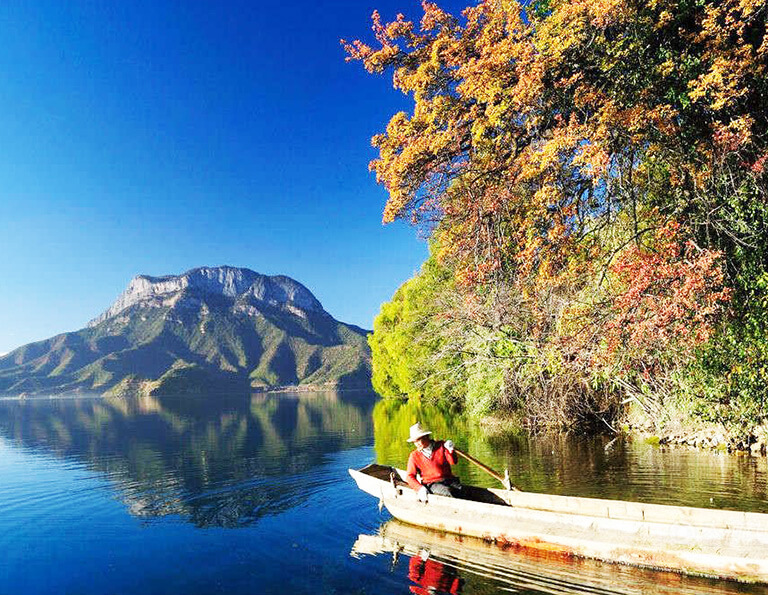 Blessed with holy mountains and grand rivers, Lijiang has more to offer with breathtaking natural scenery. 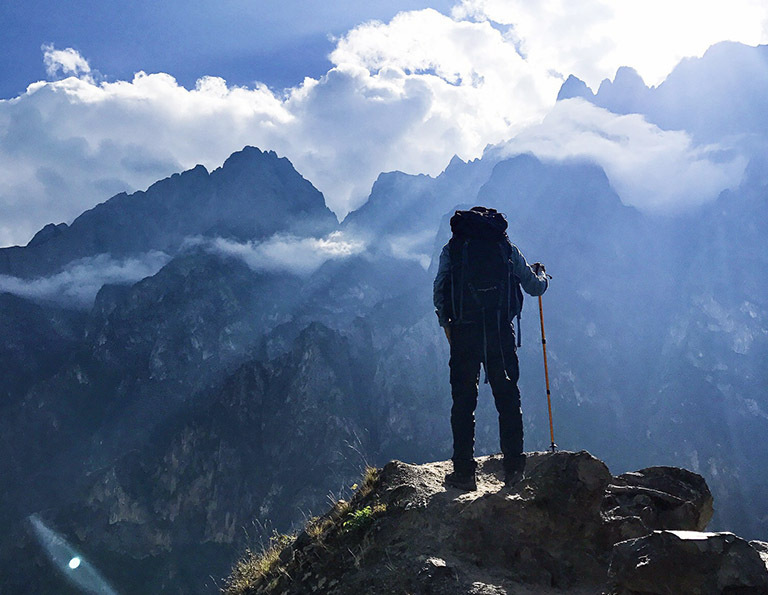 Lijiang's trekking routes feature some of the most striking landscapes found in the world including the trek near Tiger Leaping Gorge and along the banks of the Jinsha River. 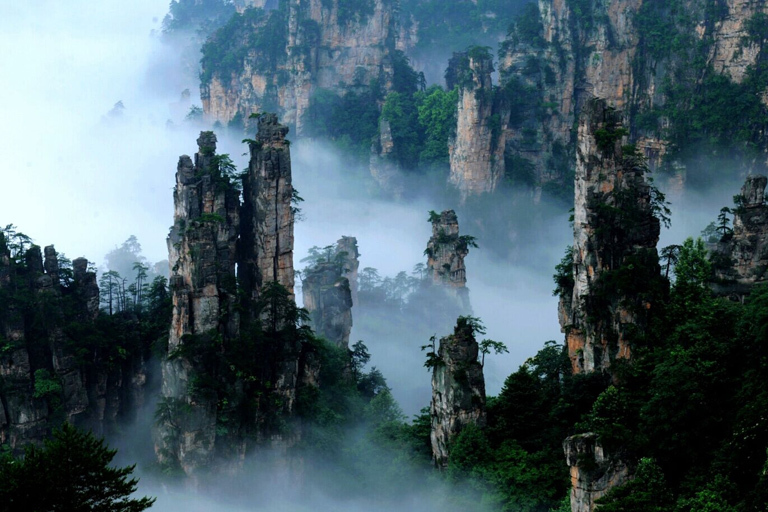 This tour offers you a chance to experience one of the great gorges of China on this 25-kilometer hike for two full days. 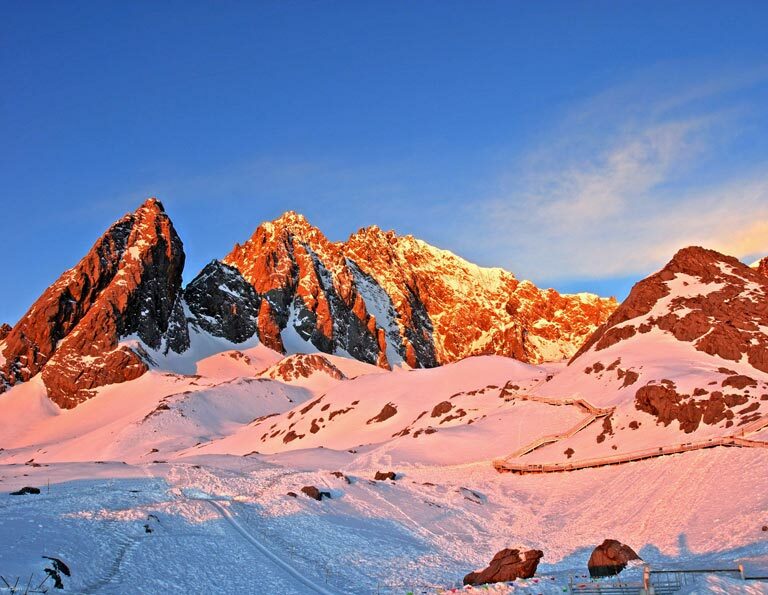 The spectacular Jade Dragon Snow Mountain and Haba Snow Mountain scenery are the backdrop. 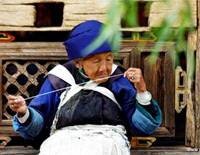 This 3-day Lijiang tour takes you to step into ancient time – wander through Lijiang Old town which is the Kingdom of Naxi people who dressed in traditional clothes, ride a horse uphill and downhill along the 1300-year-old Ancient Tea Horse Route through primitive forests, explore the ancient history about Naxi people and its papermaking, handcrafts and artworks in Shuhe Ancient Town…Moreover, enjoy the magnificent view of Yangtze River and Tiger Leaping Gorge. You’ll never regret to take this tour. 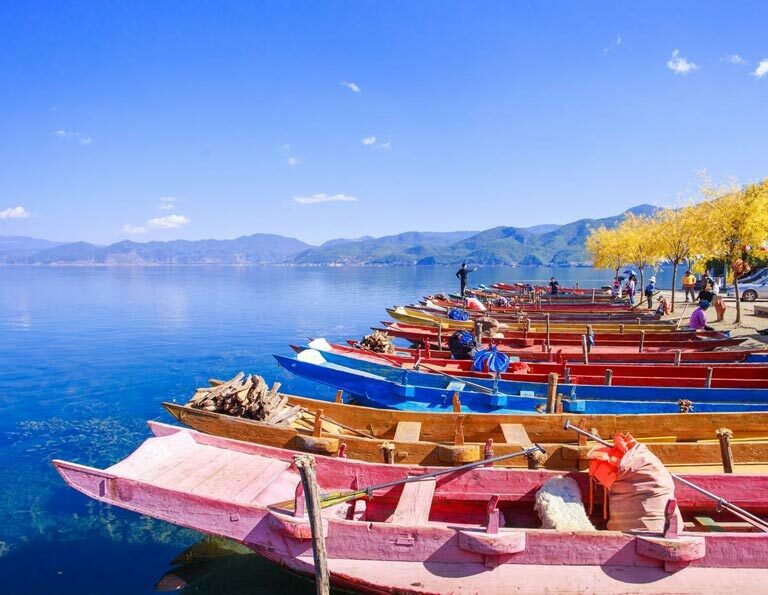 Lijiang is always served as the best location to extend a trip to Lugu Lake which is situated at the border of Yunnan Province and Sichuan Province. With 4 hours’ driving, you can reach the "Kingdom of Women" and "Home of the Matriarchal Tribe". 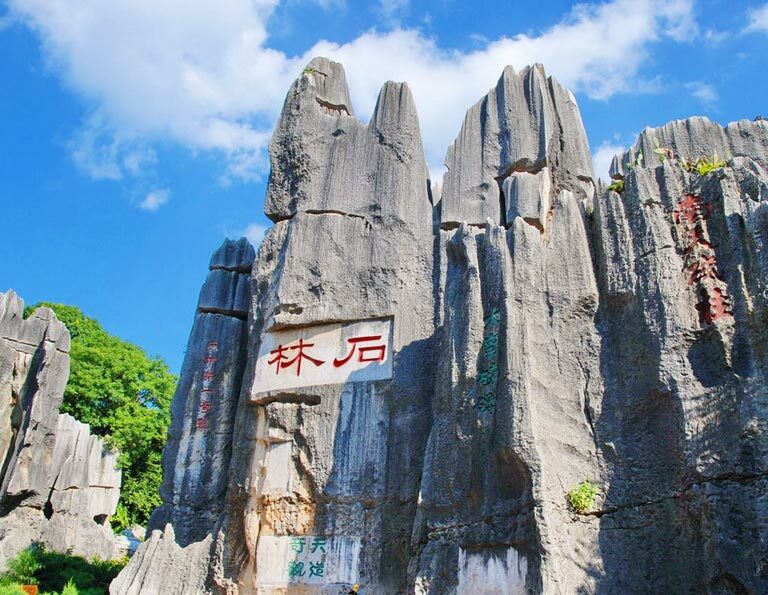 In this 2 days tour, you will step into a mysterious land to explore the matriarchal society and know its unique "visiting marriage", as well as feast your eyes with beautiful scenery of the Pearl of Plateau. 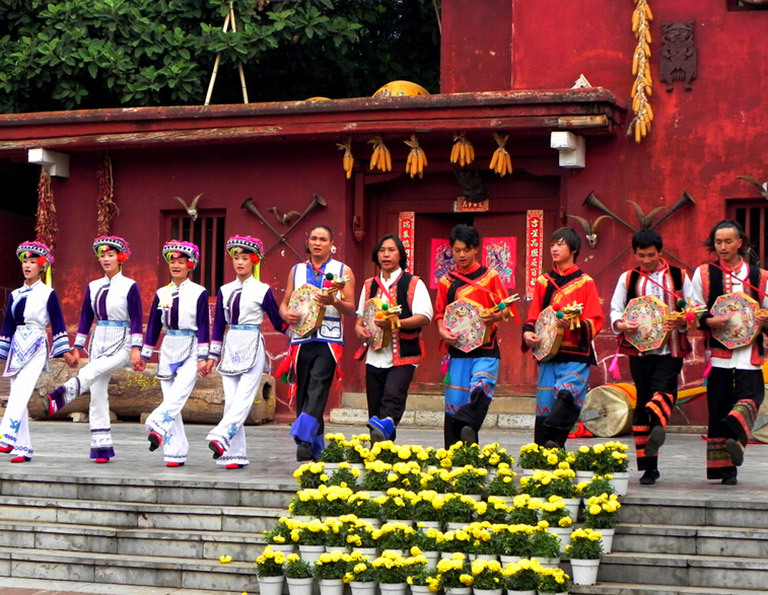 The 7 days Lijiang Tour is for some people who want to enjoy the local Naxi, Yi, Pumi, Lisu and Mosuo ethnic culture in depth. 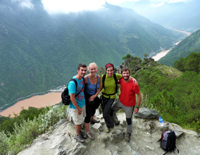 The Tiger Leaping Gorge hiking and Luguhu Lake with Mosuo culture are the two most important parts of the tour. 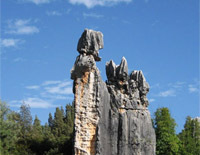 Paradise is still the most commonly used word to describe "Yunnan", especially the northwestern Yunnan. 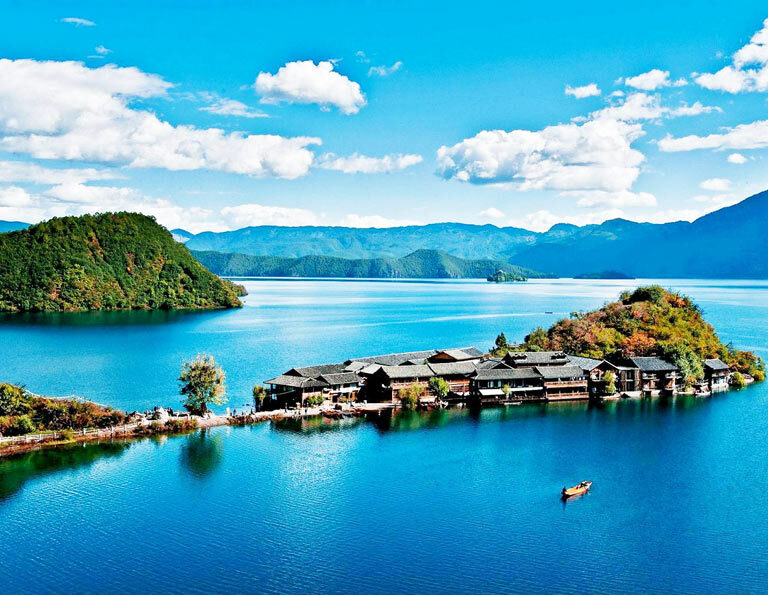 In one week, you can visit several popular destinations on this incredibly pure land, like Lugu Lake, Lijiang, Shangri-La and Tiger Leaping Gorge. 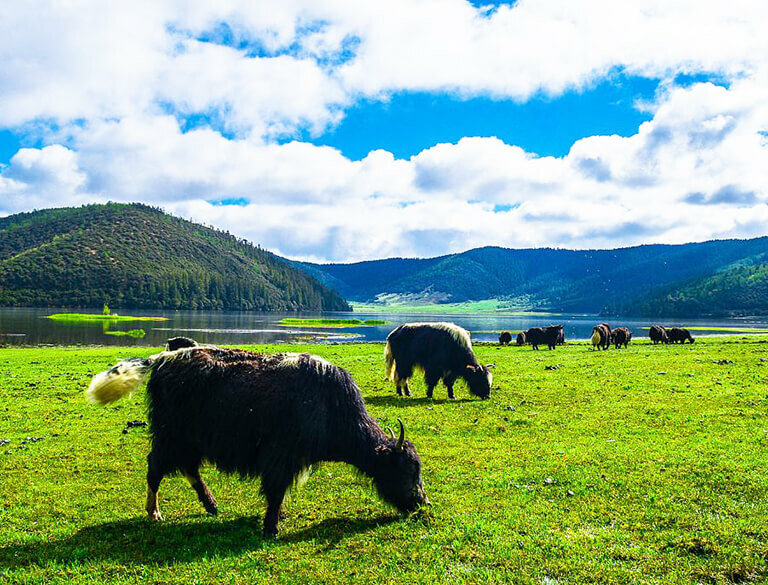 There are many activities and awesome experience designed in this tour - hike around Lugu Lake and deep into mysterious matriarchal society, throw yourselves in a piece of pure Tibetan land at an altitude of 3450 meters, and in between check out profound ancient towns in Lijiang. 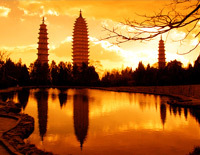 Moreover, boating, walking, local ethnic family visiting, bonfire party are covered in this itinerary...Why not come? !